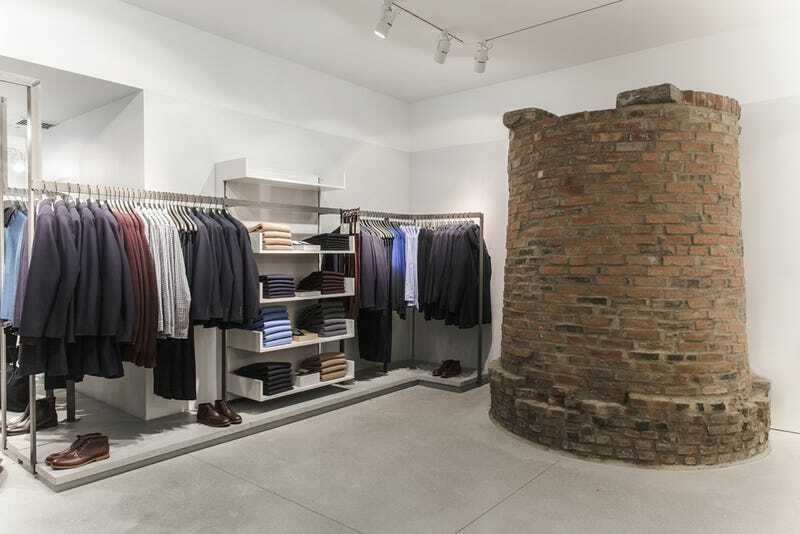 A New York City outpost of clothing store COS has a 200-year-old well tucked into its men's department. The structure is a remnant of the building's 18th-century past ... and it's where a woman's strangled body was discovered in 1799. The well-documented story has it that a young woman named Gulielma Elmore Sands left her Greenwich Street boarding home on the evening of Dec. 22, 1799, to meet Levi Weeks, a fellow boarder. The two had a secret romance and were planning to elope that night. Eleven days later, her body was found in a well in Lispenard's Meadow (today's Spring Street). Marks on her neck suggested death by strangulation. For even more context (the "Manhattan Well Murder" led to a sensational trial and a controversial verdict; defense attorneys included future dueling duo Alexander Hamilton and Aaron Burr, and it was also "the first murder trial in American history to be fully documented by a court stenographer"), check out Carr's 2011 Wall Street Journal article. He penned it when the infamous SoHo building housed a restaurant. Back then, the well was tucked into a basement that was primarily used for storage, and one had to obtain special permission to view it. While the only spirit-like entities I saw on my recent visit were a few ghostly mannequins decked out in the latest Swedish fashions, it's still pretty amazing to be able to check out such a unique piece of New York history, an artifact dating to a time when Soho was a meadow and Spring Street actually had a spring running through it. Top image via Por Homme; lower image via Scouting NY.